The late Dr Chris Coughlan. Tributes were being paid last evening to industrial and cultural visionary Dr Chris Coughlan, who died suddenly this week. Through his involvement with a variety of commercial and cultural organisations in the city, Dr Coughlan made an immense contribution to the development of Galway, spearheading most of the current plans for future-proofing the city. Speaking to the Galway Advertiser, Galway Chamber president Maurice O’Gorman told of his sadness at the news of Dr Coughlan’s death. “The sudden passing of our colleague and friend Chris Coughlan has shocked and saddened everyone associated with Galway Chamber. Chris was a valued colleague, mentor, and friend and gave generously to business in Galway through his voluntary work as a board member with the Chamber over a 20-year period. Enthusiastic in everything he did, Chris was President of the Chamber during a busy two-year period, from 2002 to 2004. “In his inaugural address he said that the Chamber was poised at a new cusp of critical change and unprecedented challenges. For the Chamber to continue to be a relevant and a leading edge force on behalf of business it must rise to these challenges and continuously understand, reflect and represent the various and diverse business and market interests and needs of its individual, SME, large and multinational members. “During his Presidency, Galway was granted gateway status under the national spatial strategy, the Cube opened at the Galway Technology Centre and Nortel won the first Galway Chamber Business Awards presented by the President of Ireland Mary McAleese. Galway Chamber held its first ever board meeting outside the Chamber premises, in NUIG, and former US Vice President Al Gore addressed the European Forum and the Galway Chamber Ball. “Chris made access to Galway and the region a priority for local and national government during his Presidency. He made a very important contribution as a board member of Galway Airport and later became Chair of our Transportation and Traffic committee and represented Galway Chamber on the Galway City Council Transportation and Infrastructure SPC,” said Mr O’Gorman. Dr Coughlan was an instigator of the Galway Chamber Business Awards, the Business After Hours Networking Events, the Paddy Ryan Memorial lectures and the Amicable Society (former Presidents of Galway Chamber ) sculpture project, a legacy trail in Galway. As a member of the board of Galway Chamber, Chris made an enormous contribution to the strategic direction of the Chamber as well as to the actual work output. “His sharp mind, curiosity and enthusiasm revelled in robust discussion and his positivity and ‘can-do’ attitude never flagged. As well as his work with Galway Chamber, he also served on the board of Chambers Ireland, the national network of Chambers and represented us abroad on many occasions including trips to Newfoundland and Lorient. Chris was Chairman of WestBIC and a board member of Galway Chamber subsidiary company, the Galway Technology Centre, Mervue. “He was an innovator who saw the world in terms of possibility, in business, in the arts and in his adopted city of Galway. Galway Chamber mourns Chris and is deeply grateful for his selfless giving to our organization and to business in Galway over the past twenty years. Our thoughts and prayers are with his wife Joan and his three children Sean, Sinead and Colm. Ní bheidh a leithéad ann arís,” concluded Mr O’Gorman. Dr Coughlan retired in January after a 30-year career with HP Galway. Previously he worked for Compaq, Digital, Nixdorf and Aer Lingus. He was educated at UCC, INSEAD and the University of Keele. He was a Chartered Physicist, a Member of the Institute of Physics, a Fellow of the Marketing Institute and Hon. Fellow of the Sales Institute. Chris was a past Chairman of Galway Arts Centre. 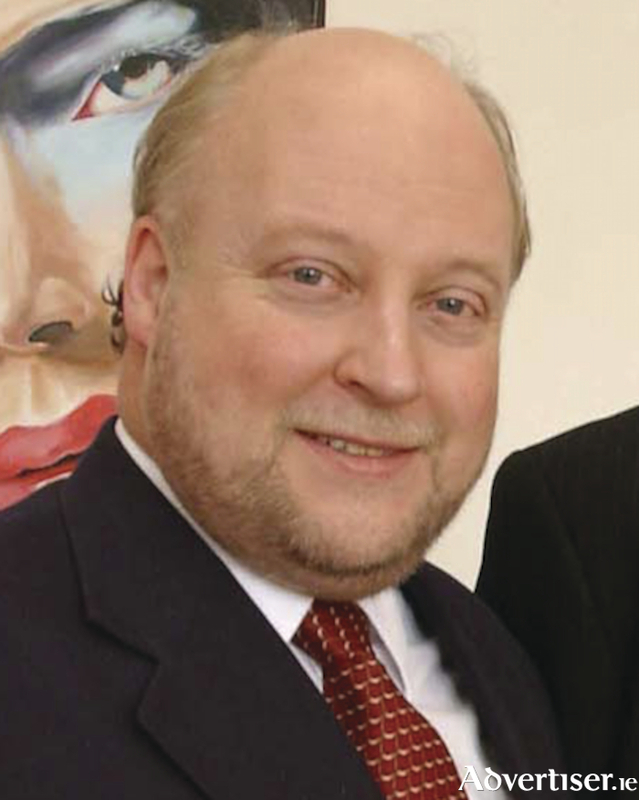 He founded the TULCA Festival of Visual Arts and was the Co-Founder and Chairman of the Computer and Communications Museum of Ireland. He was also President of the Ireland-Poland Chamber of Commerce and an Adjunct Professor in the Cairnes Business School at NUI Galway. He wrote, lectured and broadcast regularly on new media and future technologies. His most recent book was launched in 2013. Businessman Declan Ganley said Dr Coughlan was “a titan of Galway City, a lynchpin of Galway’s business, technology, scientific, cultural and academic communities. A giant among men, a gifted leader with a searing intellect to match.” Prof John Breslin said that Chris was a true futurist, who read widely about, wrote expertly on, and was hands-on with many emerging technologies, from cloud computing to 3D printing.